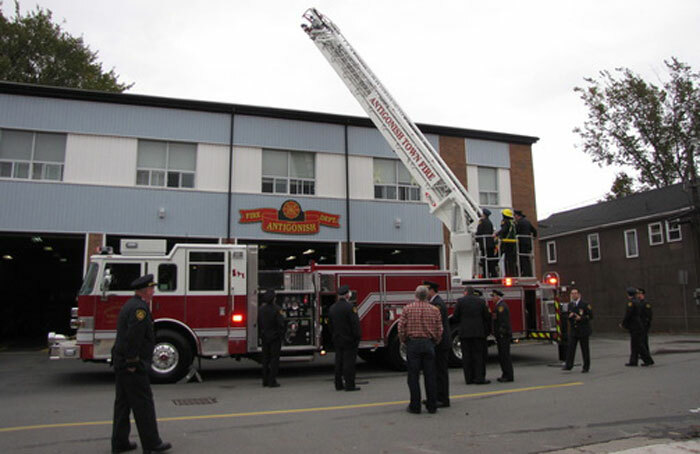 Information We presently have an active membership of approximately thirty-eight firefighters, who serve the town and its residents around the clock. We also have continued to up-grade our equipment over time. At present, we house a tanker truck, two pumpers units, a rescue vehicle, and a 100 foot hydraulic ladder truck. Our firefighters continue to acquire more fire training and to improve on their skills. We also provide fire/rescue services for the town and county, including the "JAWS OF LIFE" rescue equipment, assisting at numerous motor vehicle accidents, when needed. We are also busy with fundraising, running regular bingo's, getting involved with many community projects, and the ongoing education of our school kids ,via annual fire prevention week activities. Hall rental available, please contact for details.